86 different infrastructure projects make up the EU-AITF’s portfolio. They are supported by 119 grants for a total net amount of EUR 733.9 million. 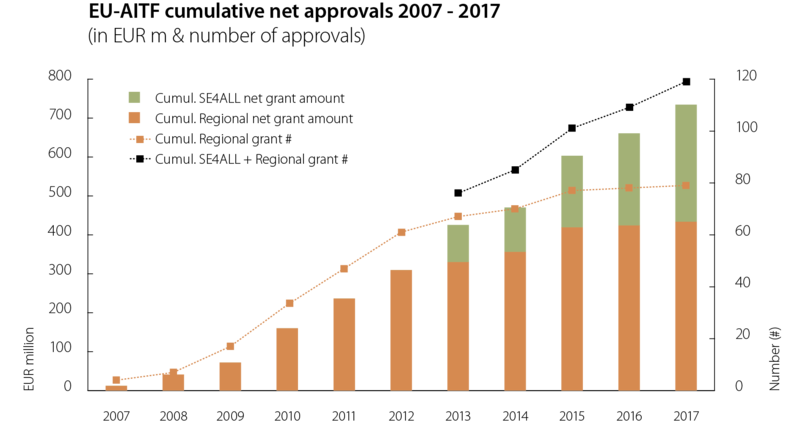 Grant support has been rising steadily since 2007 – first under the original Regional Envelope and then, increasingly, under the SE4ALL Envelope, which was introduced in 2013. SE4ALL approvals today represent 41%, i.e. EUR 300.7 million, of the total approved net grant amount.